The pair have been bringing a whirlwind of folk and folk-rock to audiences for 20 years, as long as they have been married. Their music conjures Buddy Holly style roots (they had their first date at Buddy Holly’s gravesite in Lubbock, Texas), tuneful cadences of the Everly Brothers, and the ringing 12-string jangle of early Byrds, all interspersed with darker moments that recall British folk rock a la Fairport Convention. They still occasionally perform with folk legend Nanci Griffith, but largely they perform as a duo, bringing to the stage fresh material based on their individual interests. Their music traverses a broad musical landscape, surveying power pop, acoustic songwriting, organic rock rooted in their early days in Austin, and a Byrds-inspired jangle that drew the attention of McGuinn, Steve Earle, and most notably Nanci Griffith. 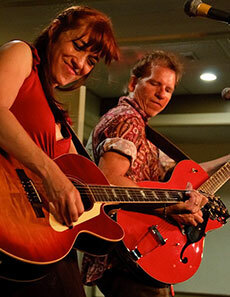 The duo co-produced one of Nanci’s latest CDs, and toured with her in 2013. Pete’s guitar work is evident throughout Griffith’s Grammy Award winning album “Other Voices, Other Rooms,” released in 1994. They met in Austin, Texas in 1992, when Pete Kennedy was playing in Nanci Griffith’s band. Soon, Maura Boudreau joined Griffith’s band as a harmony singer, and she and Pete began their career as a duo when they opened for her during her tour in Ireland. Pete is from the Northern Virginia suburbs of Washington, D.C. Maura grew up in Syracuse, New York. After many years living in the East Village in New York City in 2006, they joined the many other folk musicians living in Northampton, Massachusetts. They then returned to the East Village in 2008. The Kennedys’ performance at the Rose Garden on Saturday, Oct. 17 will begin at 8 p.m. Doors open at 7:30 pm and attendees are urged to arrive early for best seating. Tickets are $20 at the door, $18 tickets in advance at www.rosegardenfolk.com. Children ages 16 and under are free when accompanied by an adult. College students are half price with a valid college ID. 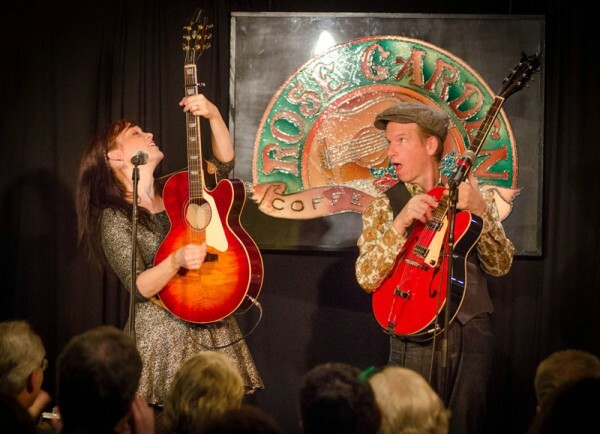 Stephen Ide is the artistic director of the Rose Garden Coffeehouse, now in its 27th season.